Home » Brain Function » Can Fish Oil Make You Smarter? The cerebrum is the largest part of your brain and controls a lot of your physical and mental activities. Thinking and learning takes place in the cerebrum. You can also store a lot of information in your cerebrum. As we age, we can lose some of our ability to learn and to remember things. Our short-term memory may be affected. This is the type of memory you store for only a few minutes. When you need to remember information for longer periods, you are using your long-term memory. You can store information about all kinds of things in your long-term memory that can stay with you your entire lifetime. Keeping cognitive abilities and memory strong is very important for living a healthy and long life. Fortunately, though the brain is an amazingly complex and sophisticated part of you, it is still just an organ. You can keep your brain healthy, just like you can your heart or your liver, by eating foods that nourish it. Brain-boosting foods can have a real and lasting impact when it comes to keeping thinking skills sharp and memory intact. 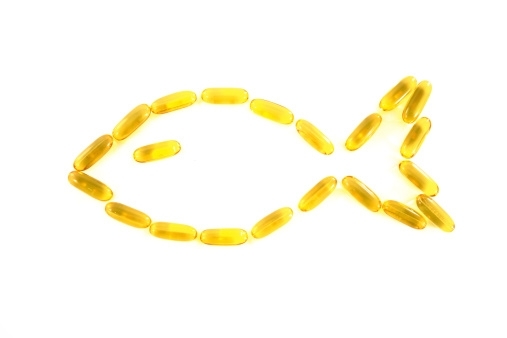 How Fish Oil can Boost Your Brain? One of the most potent brain-boosting foods is fish — particularly the fatty kind. What’s so special about fatty fish? And why is this the one time you’ll actually hear nutritionists say “the fattier the better?” Fatty fish contains DHA, an omega-3 fatty acid that plays a critical role in your brain’s function. One of the reasons fish oil plays such a big role in brain health and in the health of other organs like your heart is that many of the vitamins you need require fat to break them down. Vitamins A, E, D and K are all fat-soluble — so, if you don’t have healthy fat in your diet, very little vitamin A, E, D or K can get absorbed into your system! In one recent clinical trial, researchers discovered that fish oil protected rats’ brains from age-related damage to the hippocampus. And, in another trial performed at the University of California, researchers found that DHA slows the progression of age-related dementia. Believe the studies; if you eat fish regularly, your brain could function as if you were much younger than your actual age. Some of the best sources of fatty fish are salmon, sardines, albacore tuna, halibut, trout, herring, cod, and whitefish. Keep in mind that eating fish fried in batter with a serving of fries is not the way to go here. Buy fish fresh if you can and grill it at home. Most fish cook quickly and can easily be made into a tasty meal by adding some lemon, herbs, and a dash of pepper.